How to back up the DIR-850L router configuration? How to back up the DIR‑850L router configuration? 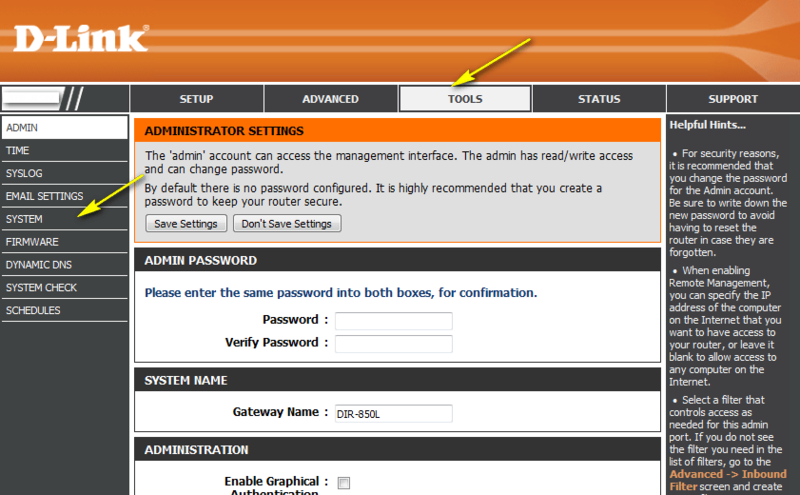 Step 2: The default username is Admin and the default password is blank (nothing). Click Login. Step 3: Click the Tools tab on the top and then click System to the left. Step 4: To save the configuration settings of your wireless router, click Save Configuration next to Save Settings To Local Hard Drive. 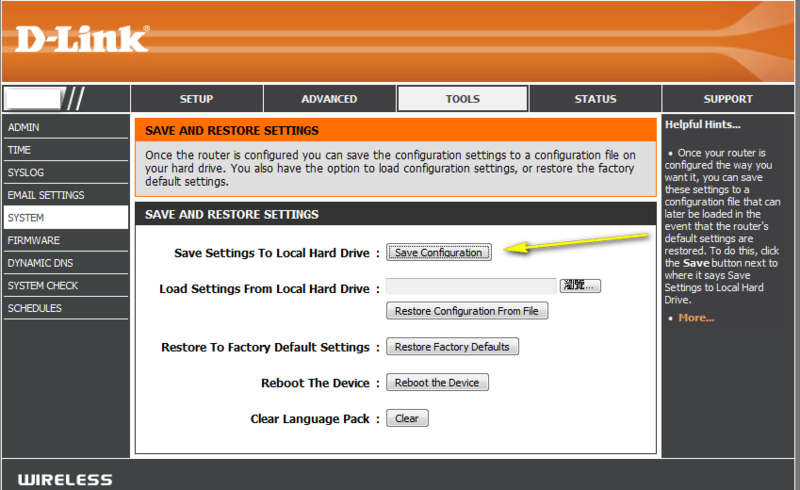 To load a previously saved configuration file, click Browse next to Load Settings From Local Hard Drive. Once you have located the file (config.bin) on your hard drive, click OK and then click Load. Note: If you have upgraded or downgraded the firmware on your wireless router, do not load configuration files that were saved from previous version of firmware. This will not work and can damage the unit.